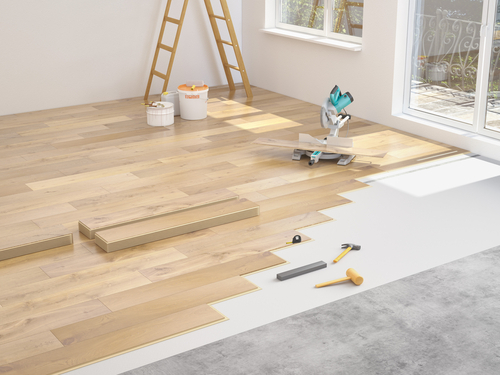 With the number of flooring choices that have flooded the market, saying that you are spoilt for choice is a great understatement. When it comes to choosing the best hardwood floor alternatives, things tend to get even trickier. There are numerous hard wood floor alternatives and choosing the best, you will have to take into consideration a number of factors. 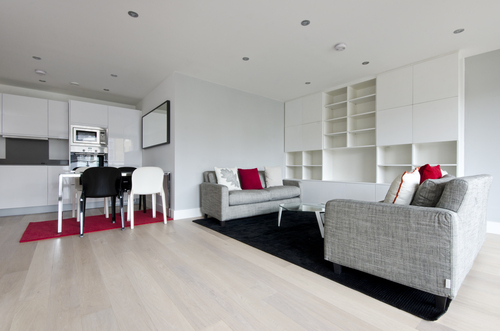 In this article however, we will have a look at laminate and vinyl flooring. Many people, probably you included think that they very similar. Well, they are when it comes to their durability being budget friendly and DIY products. But that’s about it. They vary on many other different platforms. But to be able to understand the differences, one must understand these floorings individually. · What is laminate and vinyl flooring? Laminate flooring is for the most part a hard surface that resembles hardwood floor types and is made from hardwood that has been recycled. It gives the impression of being a hardwood but it is not real. There are those laminate floorings however that looks very real, far too real. Covering its top is a melamine layer that makes it scratch resistant and on its underside it features a core board of high density. Vinyl flooring is a synthetic material that resembles hardwood or tile. Many of the vinyl flooring are glued directly on the floor. They come in many forms including sheet vinyl, vinyl composite tile, plank and luxury vinyl tile. 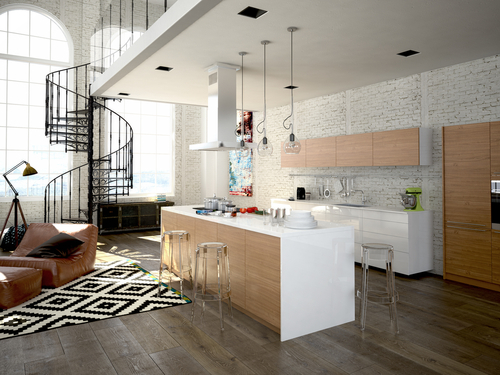 Now that we have an understanding of what the two flooring types are, let us dive into their differences. The laminate flooring planks normally come with four layers. At the very top, the wear layer, is made of durable plastic while the following layer carries the design of the flooring. The 3rd and 4th layers are composed of a combination of plastic, glue and wood chips. Vinyl sheets on the other hand are far simpler in design. They are made up of a single layer of vinyl with fiberglass or cloth acting as the backing. Sure they contain layers similar to those of the laminate flooring but they do not consist of any wood fibers. Laminate floor boards, given the fact that they are made with wood fibers are not the best for use on floors that are most likely to experience a high level of moisture like bathrooms or laundry rooms. They are best suited for rooms that are open and do not get lots of moisture. Installing them in moist areas will cause the boards to swell and its edges to curl upwards as they start to push against each other. Vinyl tiles and sheet on the other hand are created water proof. While vinyl plank flooring is not made waterproof, it is certainly more water resistant than laminate flooring. All in all, vinyl flooring tends to handle humidity, spills and dampness better than the laminate flooring. There is a huge difference when it comes to the installation on the laminate sand gluing down of the vinyl sheets. If you are looking for flooring that you can install efficiently without experiencing a lot of setbacks, then the laminate flooring is the one for you. The laminate floor systems feature a snap lock mechanism that is designed for DIY. The boards are very easy to cut into the desired measurements and tend to fit together just like puzzle pieces would. Laying a piece of vinyl flooring on the other hand requires one to have great glue spreading skill not to mention accurate cutting skill. Installing the vinyl tiles however is not as demanding as the sheet vinyl. But unless they are the self-sticking type, you will have to get your hands messy with a little glue. The vinyl planks will fit perfectly together to form a floating floor just like the laminate flooring would. But given the fact that they are highly flexible, they will take slightly more effort to lock into place. Both the laminate floor and the vinyl floor need a flat and dry subfloor to be installed. However, even though this holds true, you can lay the laminate boards on a floor with minimal imperfections and not feel a thing. With vinyl flooring however, you will feel every dip and rise. Before you lay the vinyl floor, you will need to lay plywood on the subfloor to even out the floor. 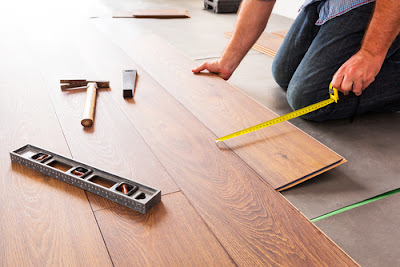 Since the laminate floors have a tendency to swell, it is important that they are laid all around the room for a minimum of three days before they are installed. The acclimation is not necessary with the vinyl flooring. Laminate flooring tends to be more comfortable than the vinyl flooring. Why? Well, probably because the laminate flooring is considerably thicker. It is warmer and softer to the touch. With the vinyl you have to add a layer of polyurethane foam to act as cushioning. And while it is not necessary, the same can be done to laminate flooring to improve on the comfort. Formerly a disgrace to a house sale, the stature of vinyl flooring has been slowly rising in the past years, especially following the introduction of the luxury vinyl flooring. But still, similar to the past times, buyers may cast a blind eye to vinyl in bathrooms and laundry rooms but be unforgiving when they are installed in living rooms. Regardless of whether they are the high end vinyl plank. Laminate flooring on the other hand does have a good resale value and normally does not put of the buyers. 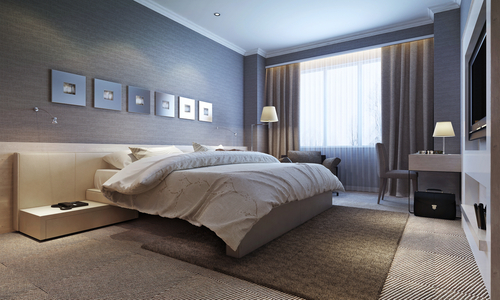 If anything buyers have found certain laminate styles to be appealing to them and be the tipping factor. But when all is said and done, deciding on the type of flooring to use will be determined on the place that you want it installed, the traffic in that area, the exposure to sunlight and temperature variations. All these factors are to be put into consideration. Sure the picking process may take some time but it will prove to be very important.